 ONRAD Enhances Its Data Network And Enterprise Class RIS Servers - ONRAD, Inc.
Online Radiology enhances its data network and enterprise class RIS servers to integrate seamlessly and securely with hospital PACS and RIS systems. The Online Radiology network, systems, and software have been constantly enhanced and developed since the company’s inception in 1997. Originally developed to support the night call work of the owners’ daytime radiology group from remote locations, the network software and hardware have been enhanced for extreme usability. Online Radiology uses a well developed and customized RIS. Because we have been partners with our RIS vendor since 1998, customizations to work with every kind of RIS in every kind of hospital PACS environment are easy and quick. Online Radiology’s own in-house technology staff can work with any hospital’s IT team to get the systems communicating with each other, whether it is a direct HL-7 connection between the two systems, or a customized communication system, Online will make it work for you. Because the Online Radiology doctors will be part of the medical staff at your hospital, the Online Radiology network can be made to look like an extension of the hospital’s own PACs system. This extreme flexibility extends to the image collecting and reading systems. They have been designed with multiple redundancy systems to actually have quadruple redundancy, which is a standard unheard of in the industry. The network is also designed with multiple buffering points in order to safely store DICOM images transferred from any hospital’s network in multiple locations until they are read and reports are generated and delivered to the hospital. Reports can be delivered directly to any point in the hospital via fax, and due to the RIS capabilities of Online Radiology, can actually be directly inputted and distributed via the hospital’s RIS and PACS systems. Later, cases and images are archived so that if there are ever any additional questions about a case, Online’s staff can quickly review the case details and images with your radiology team without having to re-send images. Cases can be sent to Online Radiology’s systems from a variety of input sources, including direct sends from just about any modality, or a transfer from your PACS. We can customize our input source to you. In addition to this flexibility, Online offers the ultimate in speed, redundancy, and security through its network design. Online Radiology’s network is available 24 hours a day, 365 days a year, just like its doctors. If any part of the network connection goes down, or even if servers fail, as they certainly can in a real world operation, the network will continue to operate efficiently on its other three legs. And, during normal operation, the quadruple redundant systems actually act in a load balanced configuration to give you the ultimate in speed, and combined with a specialized case management system, cases are distributed to Online’s extensive staff of experienced radiologists in the most efficient way possible. The network also operates behind a state of the art firewall, only allowing encrypted tunnels directly to your hospital’s network, making the system one of the safest in the industry. Online Radiology is basically an extension of your own network and is completely secure and safe. Contact us to learn more about our systems and capabilities.